Digital advertising has much to contend with – from consumers’ dwindling attention spans to ad blockers. However, there’s one medium that has survived, no matter what the media industry has thrown at it. What’s that medium you ask? It could only be print. Print has survived despite the digital age having a huge impact on the way the media world operates. In fact, in some areas, it’s still the medium of choice. Don’t believe it? Read on. 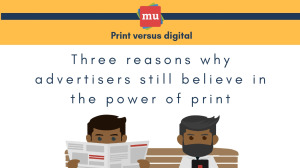 The battle of print versus digital is a complicated issue in the media industry. But instead of asking which platform is more powerful, should we not be asking if they could work together? 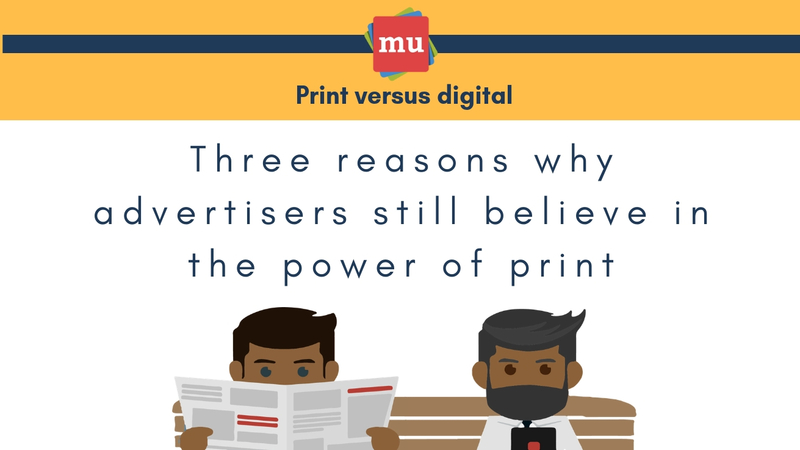 Read more in our article, Print versus digital: Are they even at war?